Off Topic A place to kick back and discuss non-Monte Carlo related subjects. Just about anything goes. I've got 2, I haven't opened the box my control arm came in yet but that will be # 3. I should have 5 but I didn't check past the parts in the box on my first 2 orders! If you don't find the magnets in the box, check if they have a pouch with a packing slip somewhere on the box (I'd had them show in those pouches sometimes). Last edited by The_Maniac; 01-30-2015 at 05:34 AM. I also collect these magnets. If you have some duplicates and are interested to trade, shoot me a PM. 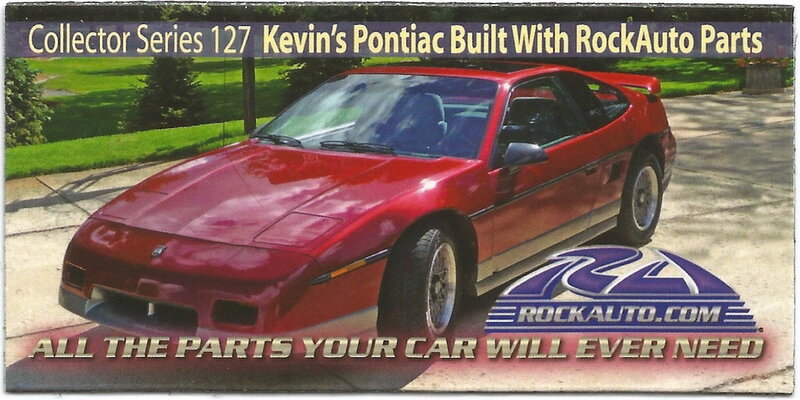 Anyway, it's interesting, my first (and only, so far) Rock Auto magnet is this one with a Fiero GT on it. Back around 2001-05, I was seriously considering getting a Fiero (test-drove a few, but didn't end up with one). They were a unique kind of car, and I still like 'em. So it's neat for me to have randomly received this one... and I'll be keeping this magnet. I also collect the Rockauto magnets. Here are the ones I have as duplicates. Let me know if you have some duplicates available, so we can trade! all between 2 and 30 (except #5), 47, 62, 110, 133, 144, 162, 185. The Blue and White Charger at the top is of course my fave, Love that body style ! 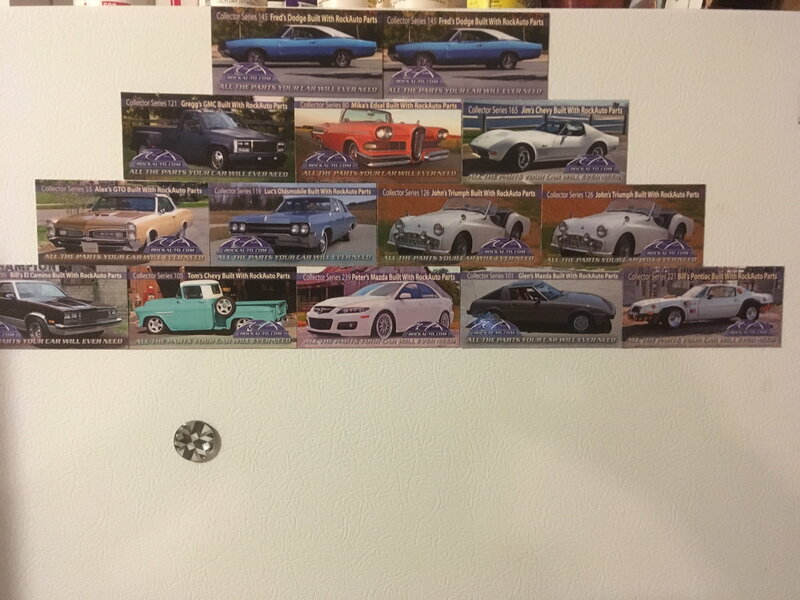 I just looked at the pic I posted in this thread of my rock auto magnet collection on my refrigerator! My how it has grown. I now have my actual Monte on a Rockauto magnet.... I removed all duplicate magnets (so now all that is on the fridge are unique magnets). I traded about 12 duplicate magnets for ones I did not have. I still have a small amount of duplicates on a filing cabinet. 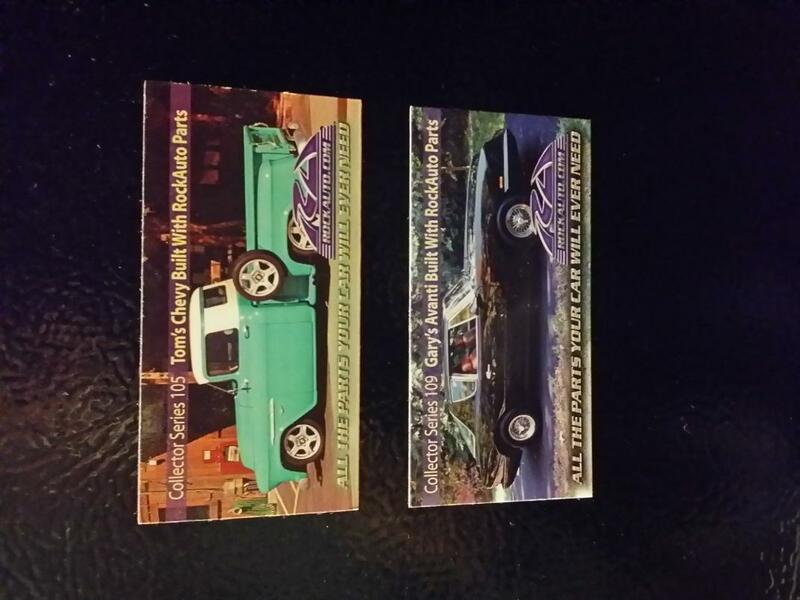 Rockauto will sell you random magnets, but I never bought any of those. Every Rockauto magnet, I earned. Each one represents a parts purchase with Rockauto and a car repair or mod I did (either on my own cars or those of my friends/family) over the past few years. I have done a lot of business with Rock and I am sure I will continue doing more. 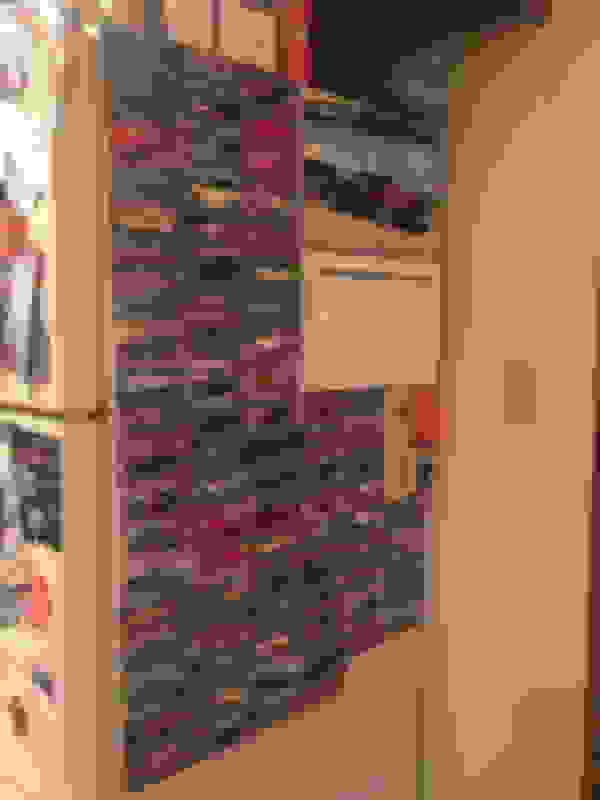 RockAuto Introduction & Discount Code! Where Do you Live ? 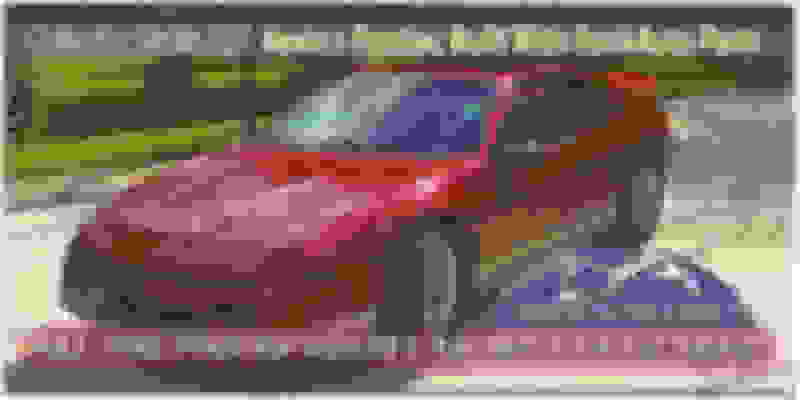 Do you belong to a Car Club ?